Hmm.. I wonder what kind of hair that kid is gonna have? The weekend hasn't even begun and these guys have already done some serious winning. Check out who made headlines just before the work week ended. How do you get paid when you make over $40 million for one fight? You might think they slowly deposit $1 million into your bank account electronically for the next few years, but you would be incorrect. Nope, they just give you a check like the one below. College Gameday will not be in Gainesville for Florida's tilt with Tennessee, or in Palo Alto for the only matchup of ranked teams this weekend between Stanford and Arizona State. They won't even be in South Bend for the Irish's test against Michigan State. Rather, the Gameday crew will be in Fargo to watch the North Dakota State Bison take on Delaware State in an FCS contest. Now, you're probably thinking this must be the FCS Game of the Week or something, but not really. NDSU is favored by 40 points and undefeated (With a win over the Big 12's Kansas State) while Delaware State is winless and coming off a blowout loss to Towson. Really, this is just about giving the two-time defending FCS national champion Bison, who have defeated an FBS team each of the last three years, a little national attention. Plus, the rest of the weekend in college football is pretty boring. 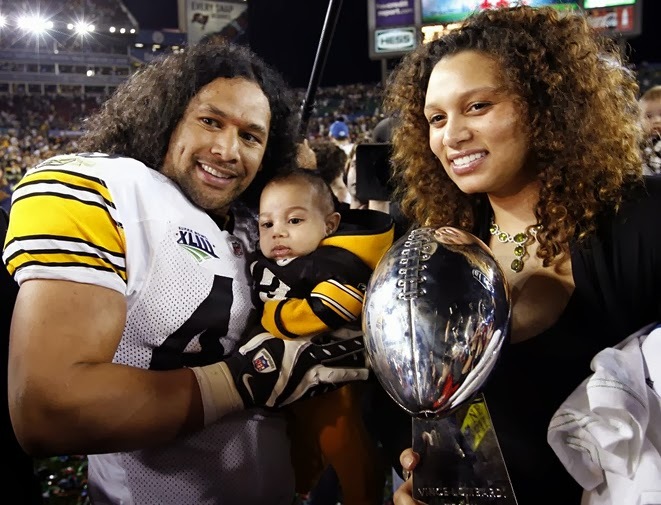 "If we had 11 Polamalus we'd be fine. We don't. We have one Polamalu." Troy also possesses the most famous hair in professional football, and he is planning on cutting, at least some of it, off for a good cause. Polamalu is planning a "Mane Event" on Veteran's Day where he will cut his hair to raise money for veteran care. He announced it by posting this on his Facebook page. I have no idea what he means by "ceremonial haircut," but hey, it's for a good cause, and Steelers fans need something to be happy about this year.